Here’s a cool way to keep all your stamped cards organized. 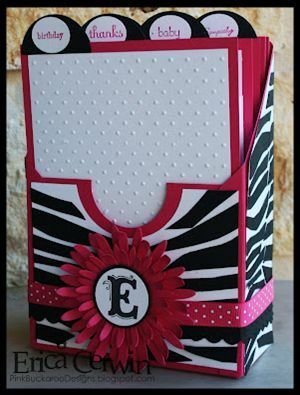 Learn how to make your own card keeper box from Erica Cerwin at Pink Buckaroo Designs. This would also make an amazing gift filled with hand made cards!